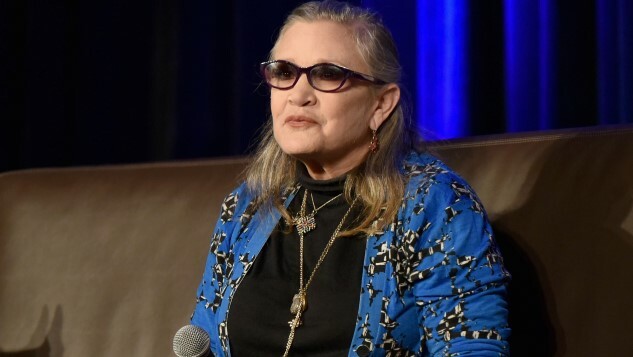 Yet another story is making the rounds on the web today revolving around a sexually predatory Hollywood producer, but this one got significantly more than he bargained for, courtesy of the legendary Carrie Fisher. The Star Wars actress passed away in 2016, but more stories of her badass life continue to emerge all the time. This one is perfectly in character. “It was a cow tongue from Jerry’s Famous Deli with a note that said: ‘If you ever touch my darling Heather or any other woman again, the next delivery will be something of yours in a much smaller box,’” said Robinson in the interview. However, given the ongoing story developing around producer Harvey Weinstein’s alleged sexual misconduct, these kinds of stories have an important educational value right now. Commenting on Weinstein, who was fired by the board of The Weinstein Company last week, Robinson said that sexual assault and harassment happened to nearly every female creative in the industry at some point. As long as this tragedy continues on an institutional level, more of these stories will continue to come to light. And unfortunately for many women, they don’t have a powerful friend like Carrie Fisher to come to their aid or take up the fight for them. We’re thankful that Robinson, at least, had the mighty Leia as a confidante.